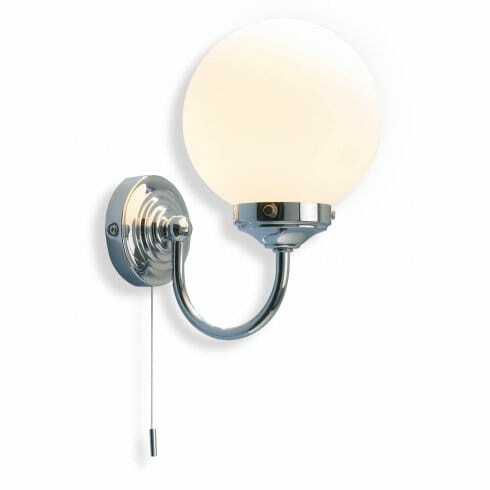 Dar Lighting Barclay single light bathroom wall fitting features a ridged, circular wall plate with an elegantly curving arm topped with a wide lampholder. This supports a large opal glass globe shade which diffusers the light from the lamp inside beautifully. Perfect for adding an elegant and sophisticated look to beautiful, modern bathrooms. IP44 rated so ideal for bathroom use. Operated by use of a pull cord switch that is located at the bottom of the circular wall plate.